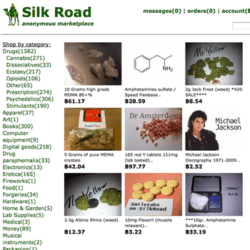 During the brief time that Silk Road operated between February 2011 and the time that it was taken down by the FBI in late 2013, 1.5 million transactions were conducted, many of them for illegal goods and services, including drugs and weapons. On the 29th of May, 2015 Ross William Ulbricht, the alleged 29-year-old creator of the website, received a life sentence in a Federal District Court in Manhattan. That new way involved Bitcoin and TOR anonymity software recommended by Human Rights Watch and Reporters without Borders. Was Ross Ulbricht A Scapegoat? Was the 29-year-old Mr. Ulbricht innocent or guilty, a mastermind or just the fall guy? Whatever the case, it might be fair to say that if Ross didn’t exist, he would have had to be invented. A quick look at FreeRoss.org and this blog post by Charles Hoskinson (former CEO of Ethereum) reveals just a few of many criticisms about the U.S. government’s handling of the case. While looking further into the future at the legacy of Silk Road there are signs of highly innovative new technologies soon to be launched (like Ethereum) which (theoretically) would allow more decentralized, peer-to-peer and generally more innovative versions of illegal marketplaces to be operated. Once these are operational it could be orders of magnitude more difficult for law enforcement to take them down without shutting down substantial parts of the Internet itself. Government officials clearly don’t understand the technology yet, and aren’t sure about what to do about it. The very same technologies have completely legitimate uses. They attract hundreds of millions of investment dollars from Silicon Valley to Wall Street and are used for reliable information storage, transparent record-keeping, anti-censorship and privacy. Storied names such as NASDAQ, the NYSE and Goldman Sachs have already been making significant moves in the sector. Under these circumstances, the best possible scenario I can imagine is if better education and open, public debates on the key issues and their enabling technologies become a first priority. 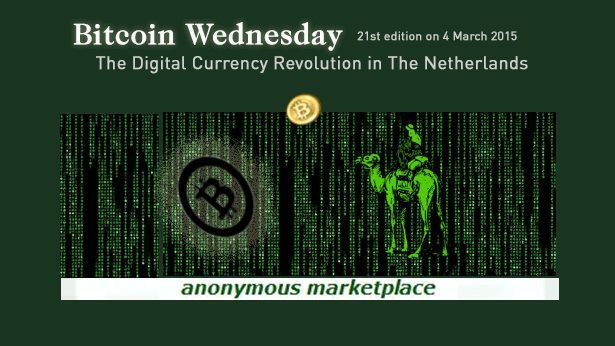 On 4 March, 2015 Bitcoin Wednesday held the “Silk Road” edition which included a talk by the Dutch Pirate Party leader, Matthijs Pontier, on Silk Road and its drugs policy. On the same evening, cyber crime specialist Ricky Gevers delivered a presentation on cybercrime and Bitcoin. In it, he explained that the amount of actual cyber crime committed with Bitcoin is still relatively small. On 3 June, 2015 Wessel Reijers, a digital currency researcher for Dublin City University’s Institute of Ethics, addressed The Moral Status of Bitcoin. One of the ethical questions we can ask Mr. Reijers is to what extent the builders of protocols like Bitcoin or Ethereum should be held responsible in the future for criminal activity (i.e. distribution of illegal goods and services) by its users.